Although Labor Day traditionally marks the ending of summer, most of us know that the first few weeks of “fall” can still bring the heat. While you may be getting prepped for football games and changing leaves, the promise of an Indian Summer can present many health risks for those who work outdoors. Heat stress and heat-related illnesses are appropriately a “hot” topic in the summertime, but it is important to keep up on the facts of these potential health threats even as the weather begins to change. 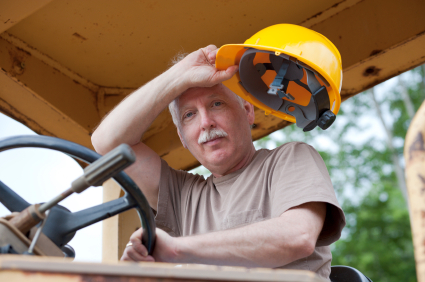 OSHA does an excellent job of helping employees remain safe on the job with their personal protective equipment (PPE) standards, however, sometimes it is the PPE that fuels heat-related illnesses (including heat rash, heat cramps, heat exhaustion and heat stroke) when the weather is warm. Heat and humidity contribute to the heat index, an important number to pay attention to when the sun is blazing. If the heat index is above 90, the heat-related illness risk is higher. With high heat and high humidity, the body naturally sweats to help cool down, but if the PPE you’re wearing prevents the evaporation of sweat you’re put at risk of heat stress. Cotton has long been a popular material for creating comfortable work garments. Cotton, however, absorbs moisture resulting in damp, heavy garments. Hot weather and exertion can be hazardous when employees are dressed in cotton or other moisture absorbing fabrics that do not allow sweat to evaporate off of the skin. Also, layering these types of fabrics can compound the risk. So, what kind of PPE should you buy for use under the hot sun? Anything labeled with the terms “moisture management”, “wicking”, “sweat-fighting”, “high performance” and “breathable”. Wolverine, Carhartt Force and Under Armour all offer high-quality moisture-wicking work wear like shirts and socks, available at Working Person’s Store and workingperson.com.